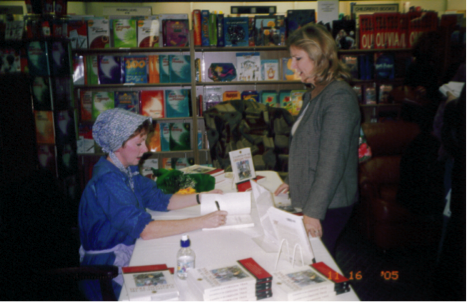 As an author and living history presenter, Tricia Martineau Wagner, conducts teacher in-services, curriculum days, and staff development days in school districts nationwide servicing teachers in grades two through eight. The author’s four historical non-fiction books dovetail perfectly with the Standard Course of Study & Competency Goals established by the state. Ms. Wagner’s history/writing programs are appropriate for teachers interested in integrating literacy in their Social Studies curriculum. The author demonstrates how her four historical non-fiction books, each with a correlating hands-on living history presentation, can be used to enhance classroom education incorporating social studies, reading, and creative writing skills. reveal how her books align with the state standards and benchmarks. demonstrate the living history presentations. share fifteen hands-on, relevant writing activities to take back to the classroom. This intense educational opportunity benefits both teachers and students.